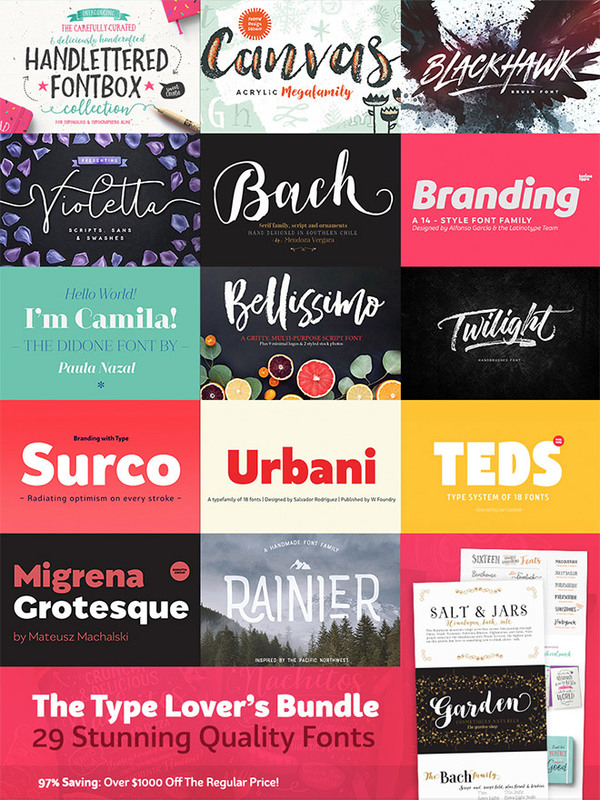 If you’re a font lover like me who just can’t stop expanding their collection with new typefaces, this new bundle is just for you! 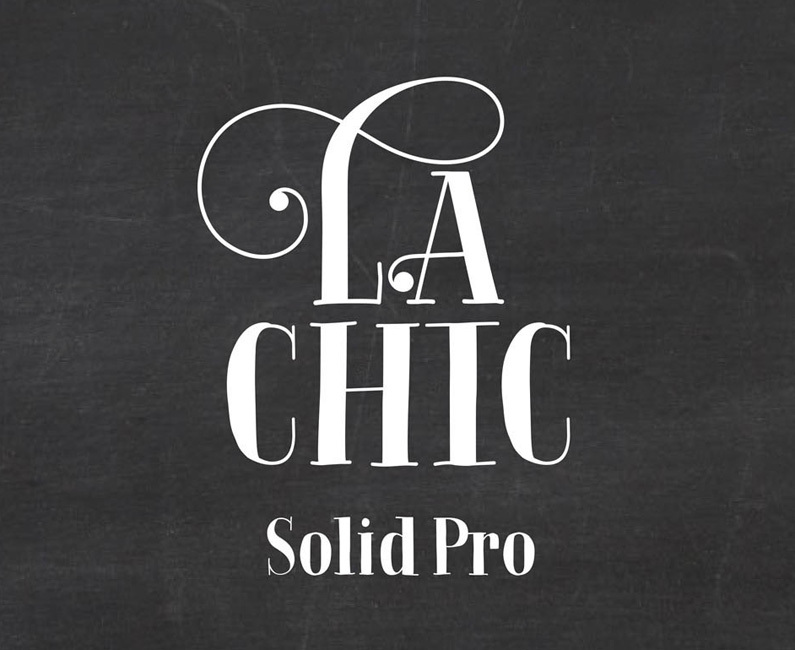 It’s a collection of exceptional quality font families that are packed with various styles. 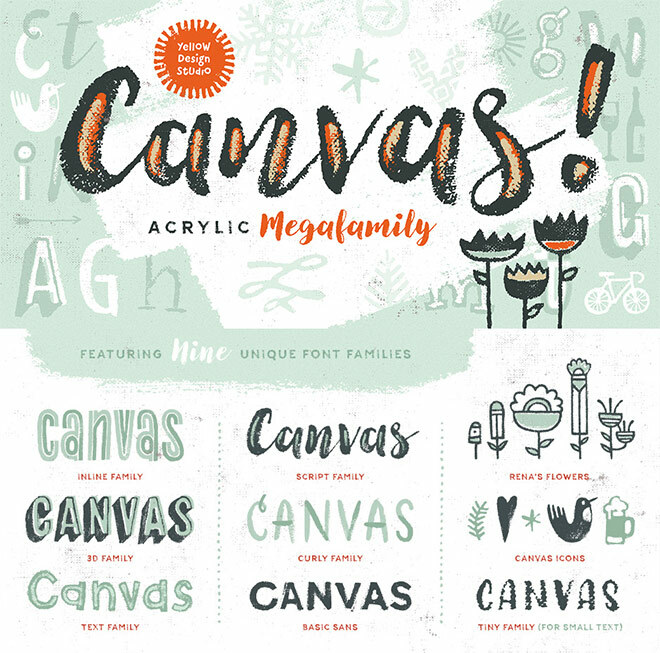 It feels like “Fontception” when you delve into each typeface and find fonts within a font, like the mega-family named Canvas which contains 9 sub-families, each with multiple versions! 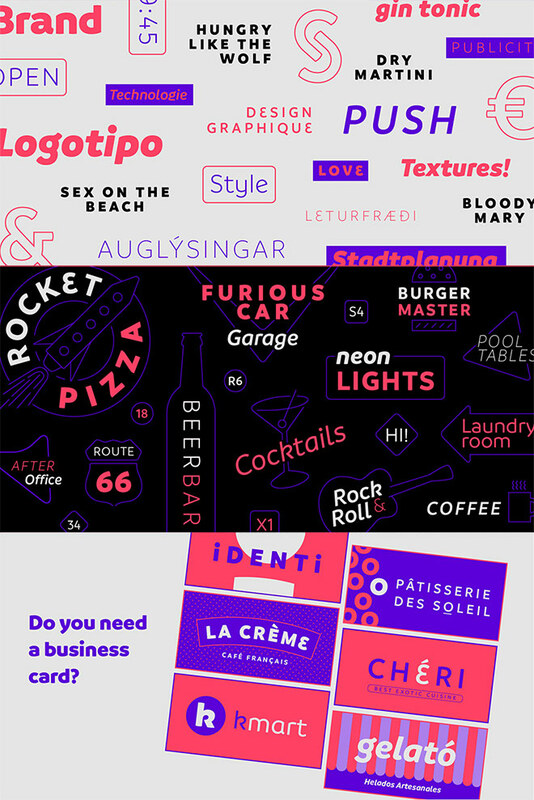 This Type Lover’s Bundle consists of 14 best selling products that contain a total of 193 individual fonts to be found within 29 font families, as well as an array of creative extras like logo templates, textures and vector graphics. With a massively discounted price tag of $29 from the total value of $1091, it effectively makes each typeface an unbeatable price of $1 each! A bundle within a bundle! 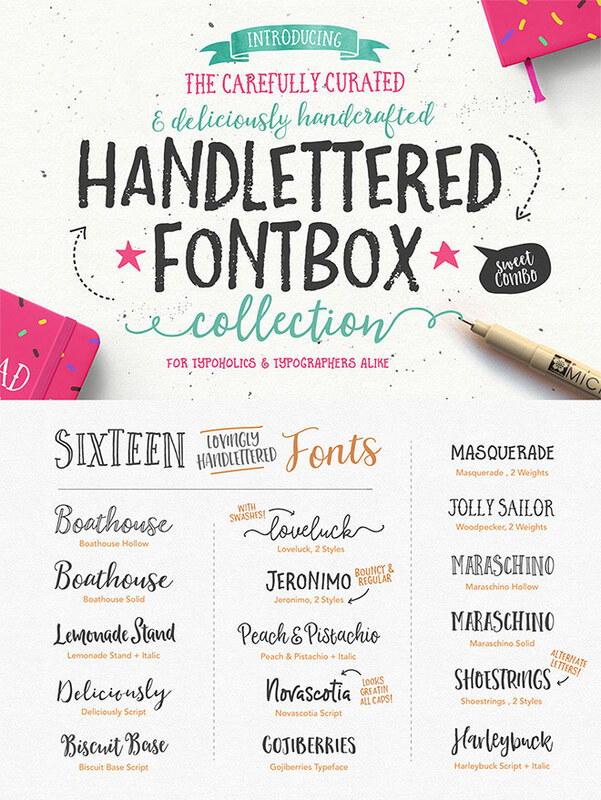 The Handlettered Fontbox is a best seller on its own with 24 fonts, 180 vector illustrations and 12 premade logo templates. 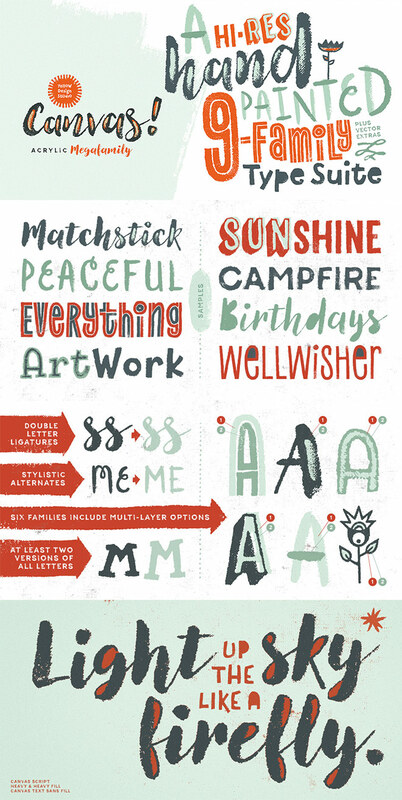 All the neatly handcrafted fonts have been designed to work in harmony to create lovely typographic designs. 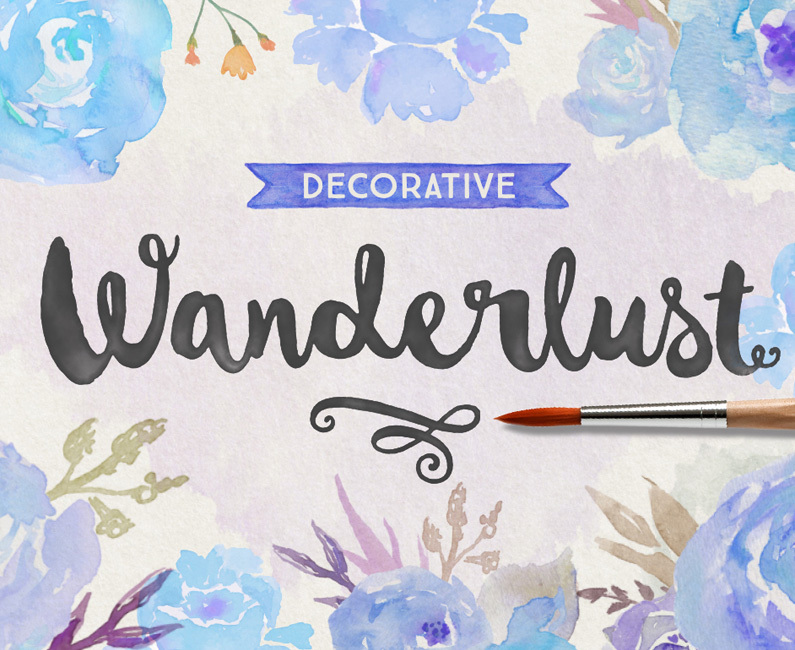 Canvas is a collection of 9 distinct hand painted font families, each with multiple styles and weights. Six of the fonts include clever layering options to produce stylish typographic effects, while all fonts will automatically fix adjacent duplicate characters with double-letter ligatures. 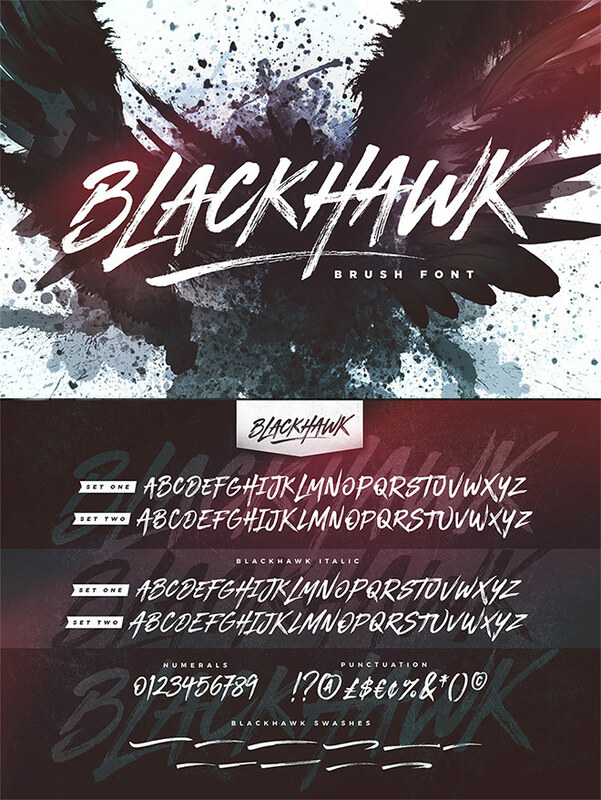 Blackhawk is a street-wise brush font bursting with energy to deliver a loud and fast-paced message. It contains not one, but two sets of characters, making use of lowercase and uppercase sets to provide easily accessible alternative characters to mix up your text layout. 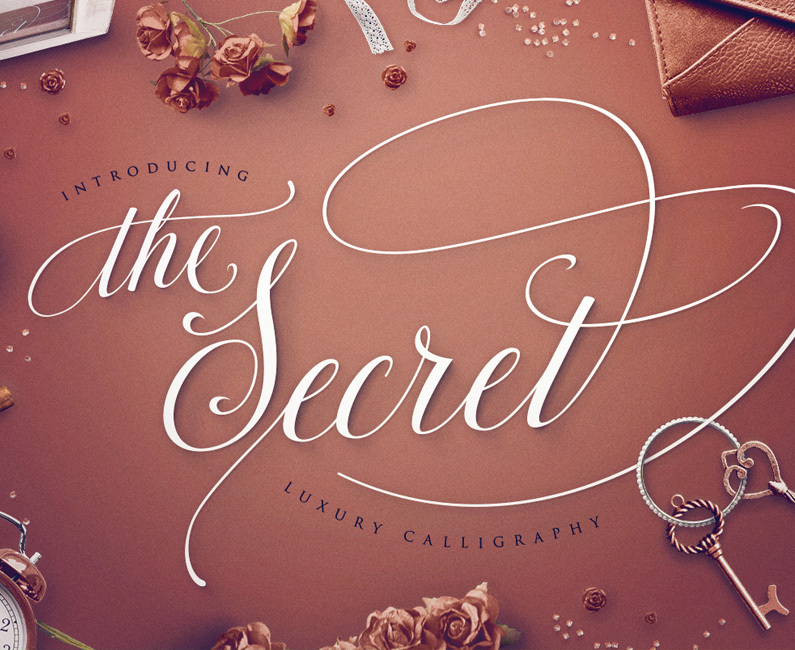 Violetta is a comprehensive set of elegant fonts with exaggerated loops and bouncy curves. 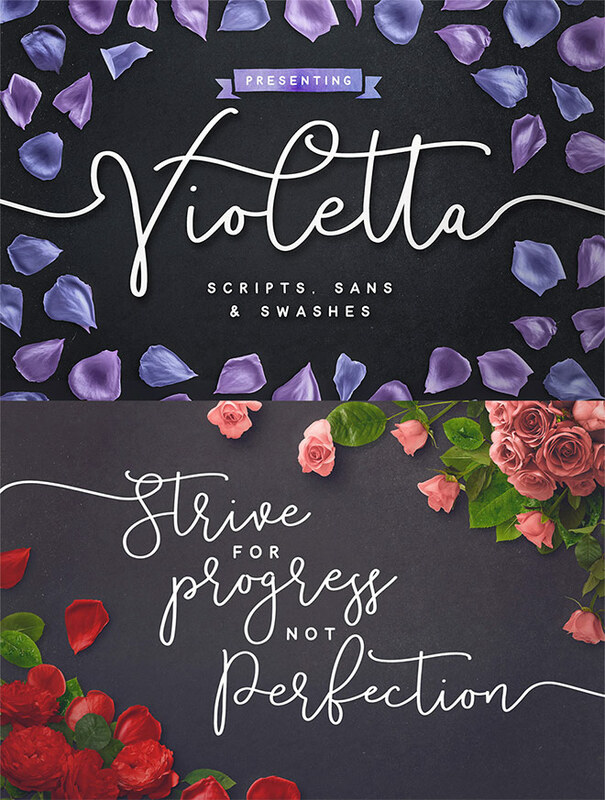 Two versions of Violetta Script provide ample character choice, which can be decorated with the swashes font and complemented with the small-print companion font Violetta Sans. 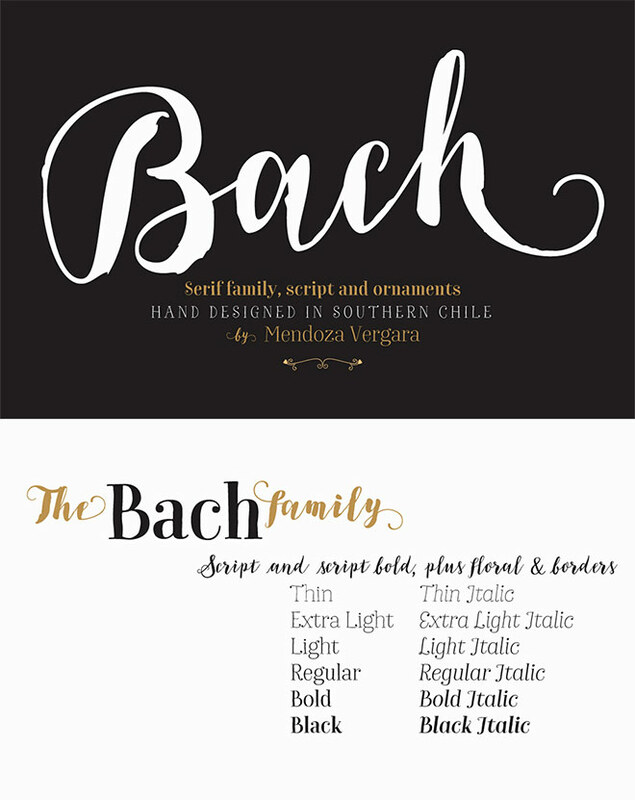 Bach is a fresh, handmade display typeface with two styles, a 6 weight serif font in regular and italic, and a 2 weight script with regular and bold versions. This duo provides you with a perfect font pairing choice without the need to scrawl through your library! 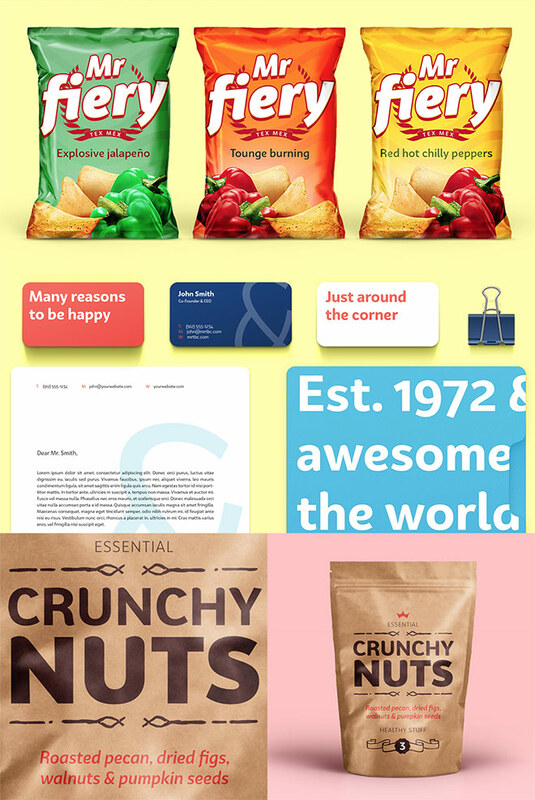 Branding is a modern typeface for modern needs! It has been designed to meet contemporary aesthetic and functional needs, making it an ideal tool for graphic designers and art directors. With 7 weights from thin to black with matching italics and support for 128 languages, it’s a professional grade tool suitable for any project. 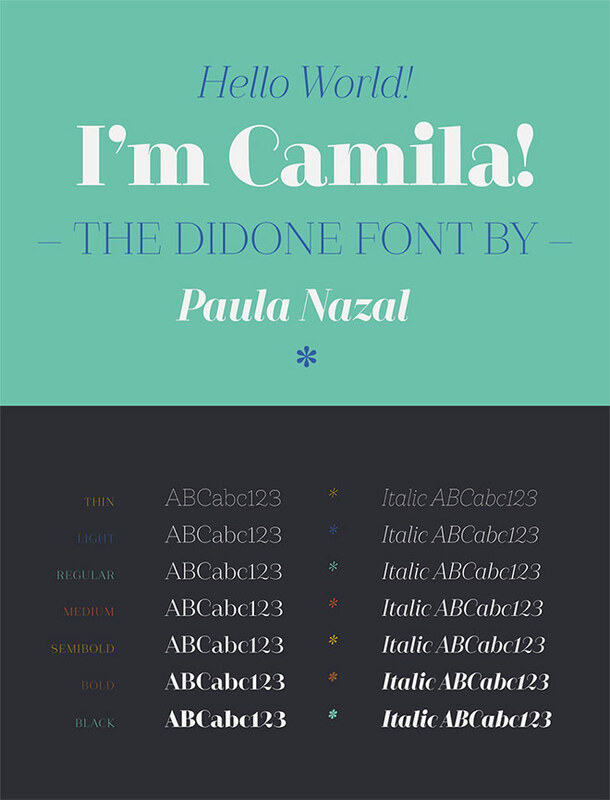 Camila is a delicate and smooth didone typeface designed by Paula Nazal. 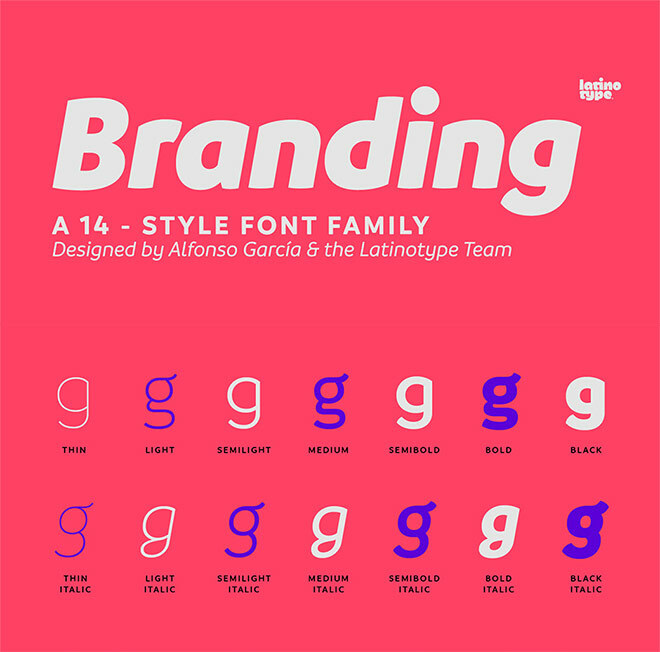 This font family also comes in 7 weights, ranging from thin to black, each with matching italic and extensive support for over 200 languages. 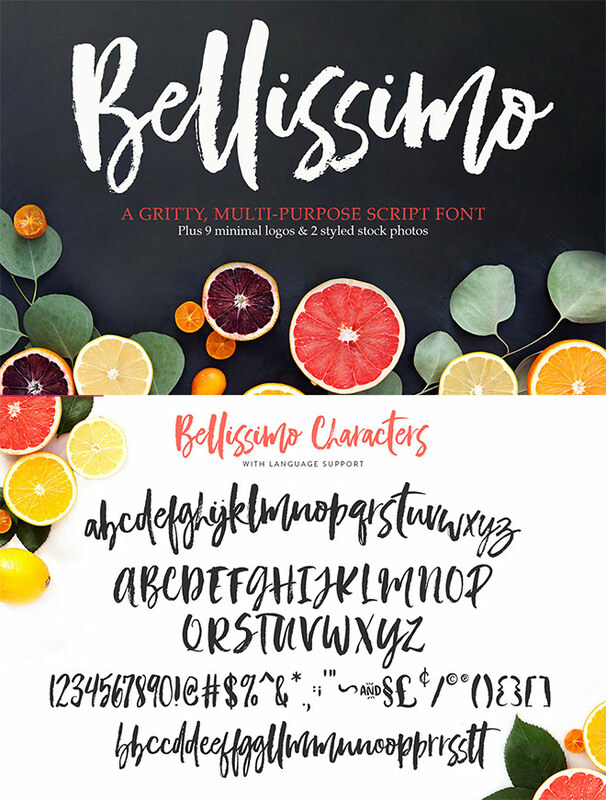 Bellissimo is a trendy hand brushed font that has been designed with branding in mind. 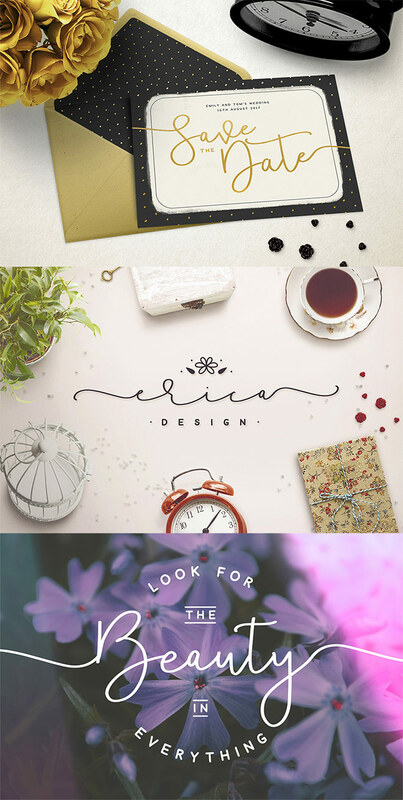 So much so, that this font also comes with a selection of 9 ready-made minimal logo templates to provide you with instant identity designs. 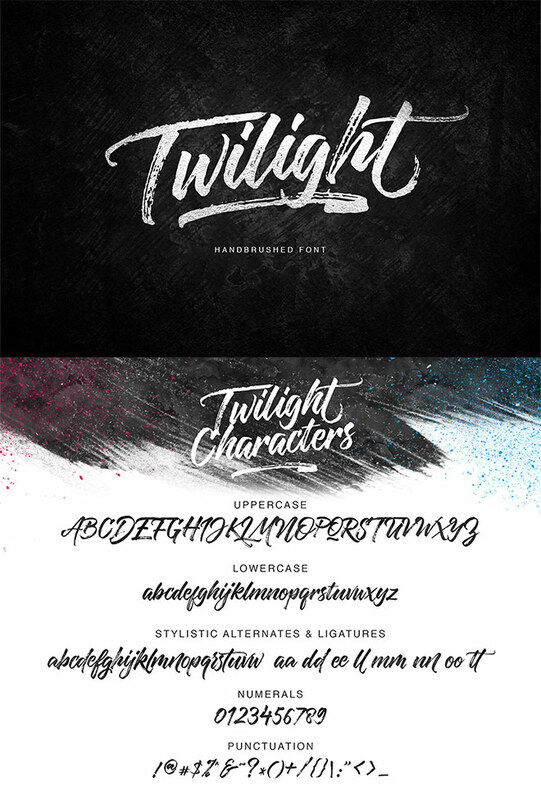 Twilight Script is a dry brushed font with a full set of upper and lower case characters, a large collection of punctuation glyphs, numerals and international language support. 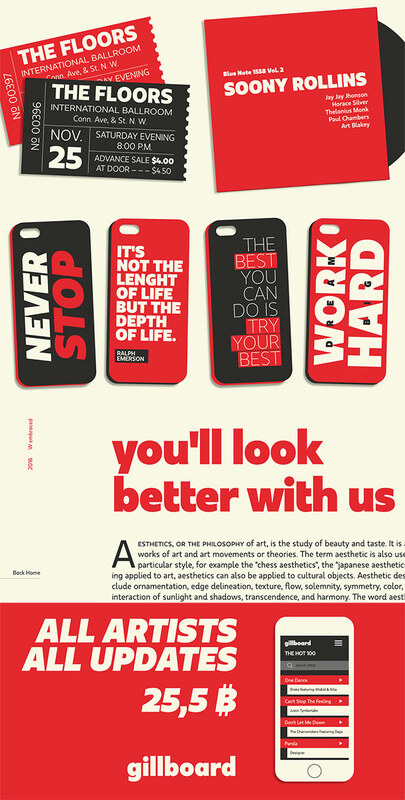 Stylistic alternates also ensure the hand brushed aesthetic is preserved when used in your designs. 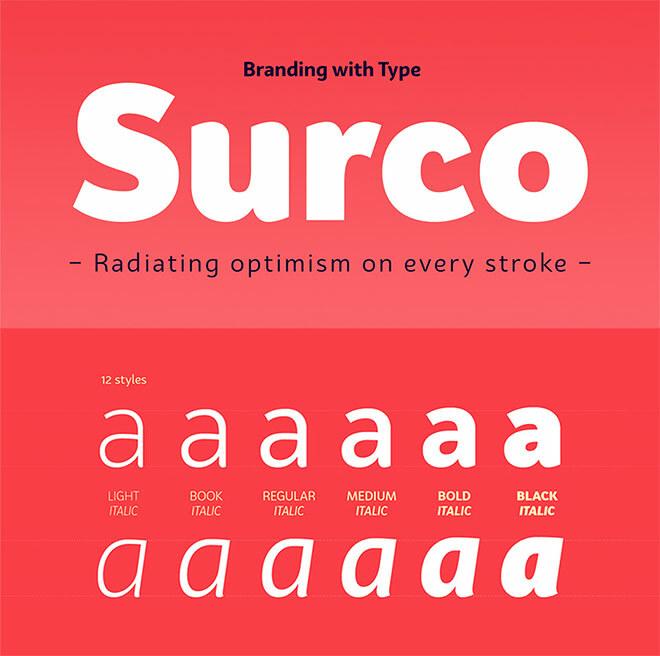 BW Surco is a fresh humanist sans-serif with soft, rounded shapes. 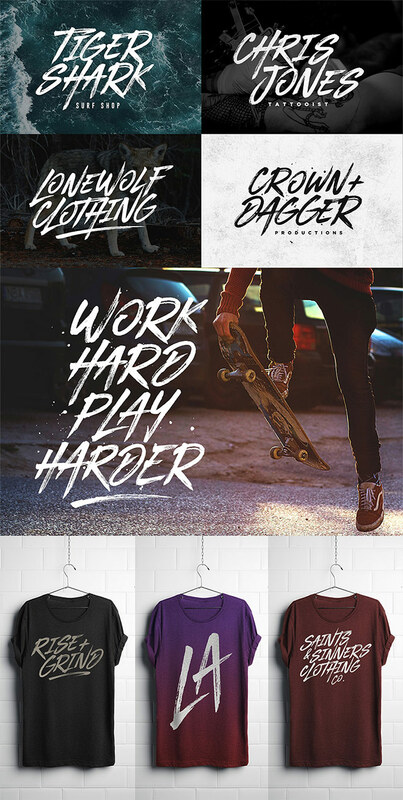 It’s another extensive collection of fonts with 12 styles. This one typeface can provide an all-in-one solution for everything from headings to body text. 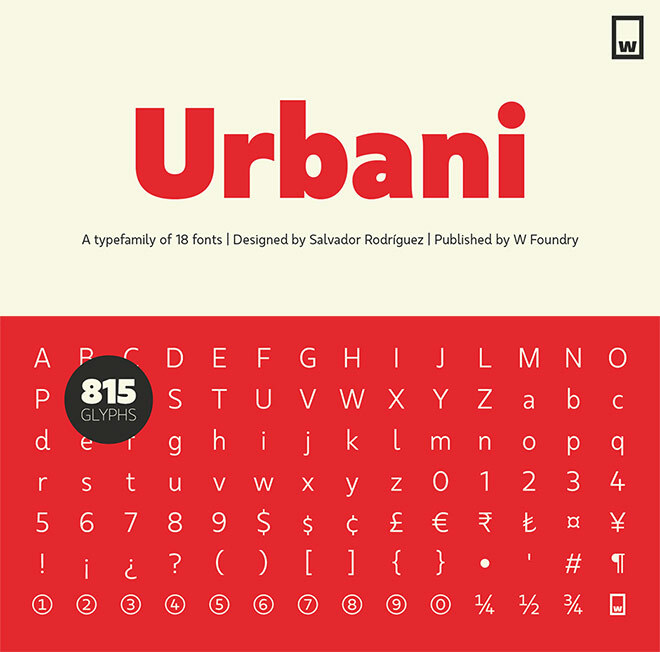 Urbani is a Graphic Designer’s dream font with its neohumanist and neogrotesque aesthetic being derived from inspiration of Adrian Frutiger and Paul Renner. Endless OpenType character features make it a joy to play with and fine tune your typographic layouts. 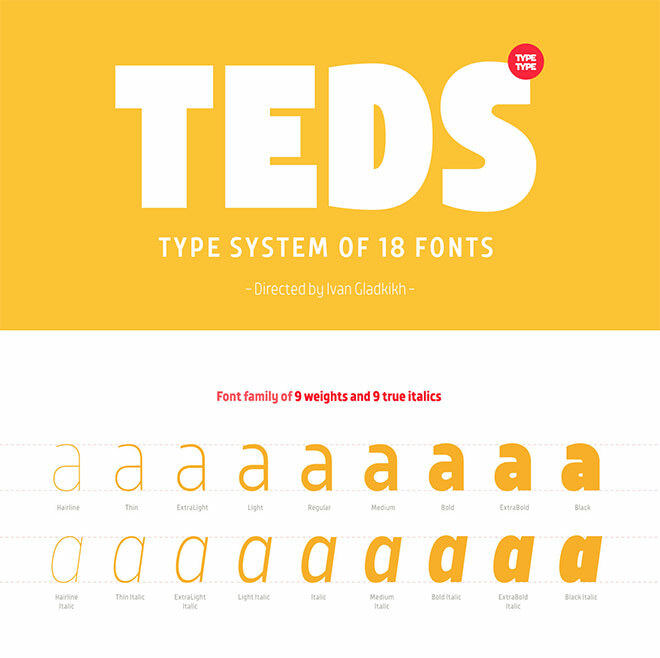 TT Teds is a narrow geometric sans-serif that comes equipped for any situation with weights from hairline to extra bold. 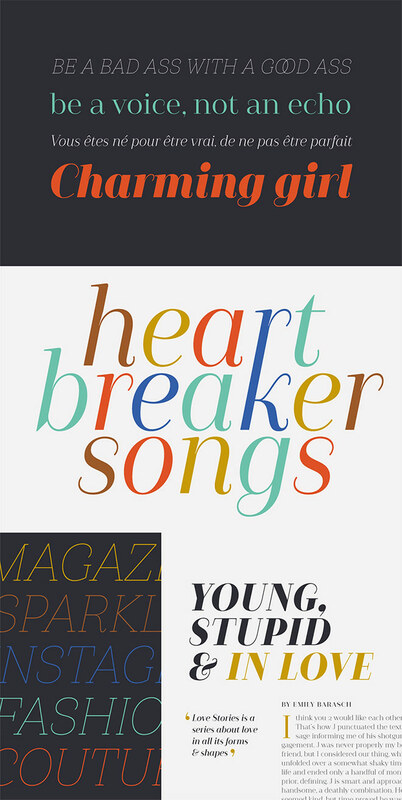 Typefaces like this dominate when you’re working on print or web publications that require full typographic treatment. Migrena Grotesque is a massive family of 18 geometric fonts with a full range from hairline to black, including italics. 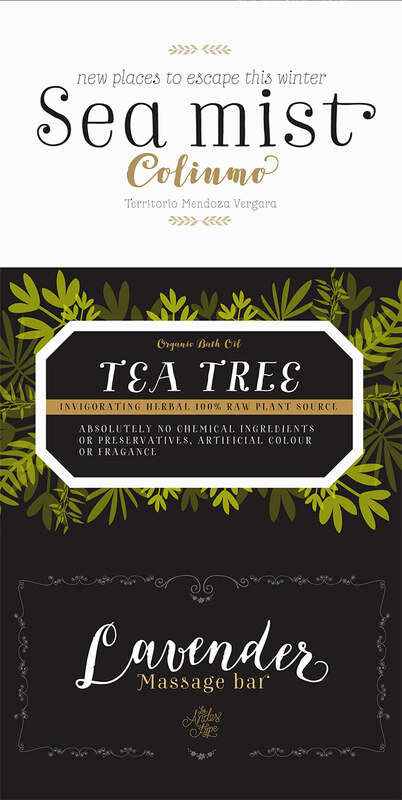 The variety within this one font alone provides endless options within your design work. 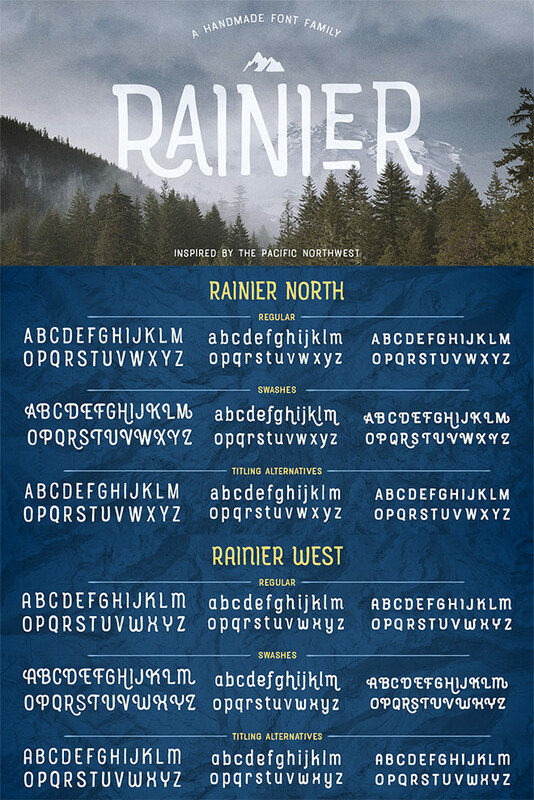 It can be difficult to find quality display fonts that come in a variety of weights, but Rainier is one such typeface. 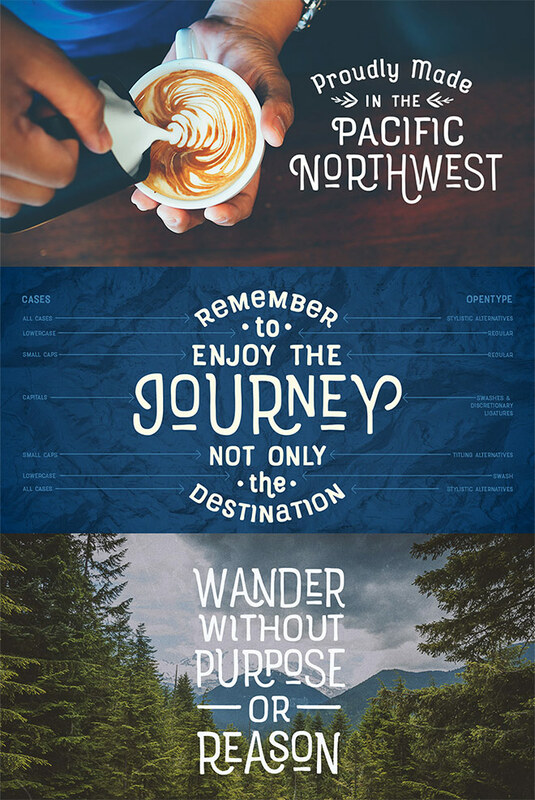 Rainier North and Rainier West combine to form a total of 8 fonts, along with a bonus set of graphic ornaments. 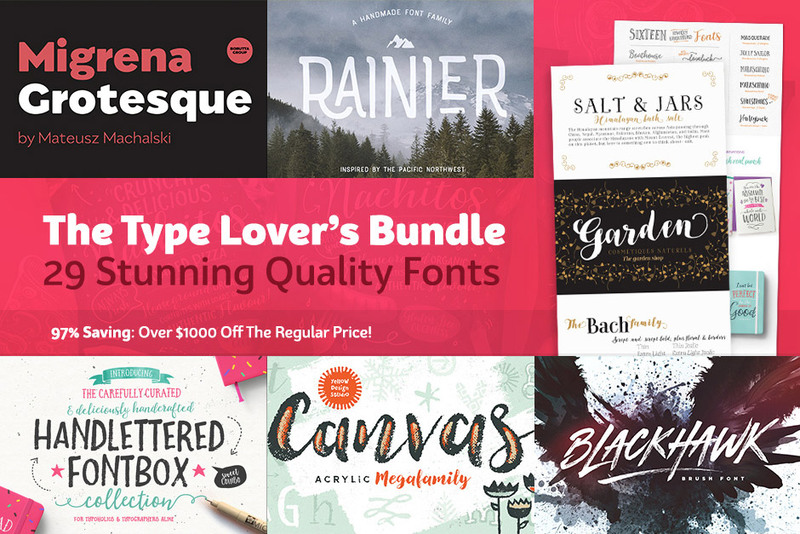 The fonts featured in The Type Lover’s Bundle boast exceptional quality, especially compared to the typical free fonts that come in one style, often with out of place kerning and no OpenType features in sight. 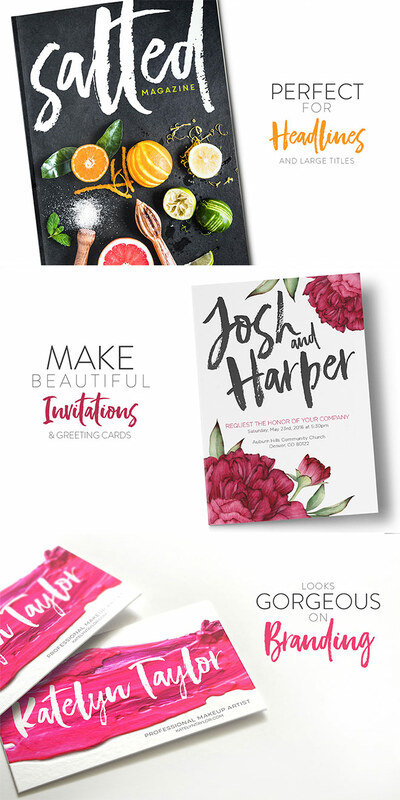 Treat yourself to a set of professional grade tools that will provide countless typographic avenues to explore in your next project and beyond. With 97% off the price tag it’s a great opportunity to invest in your creative career and push your design work to the next level. 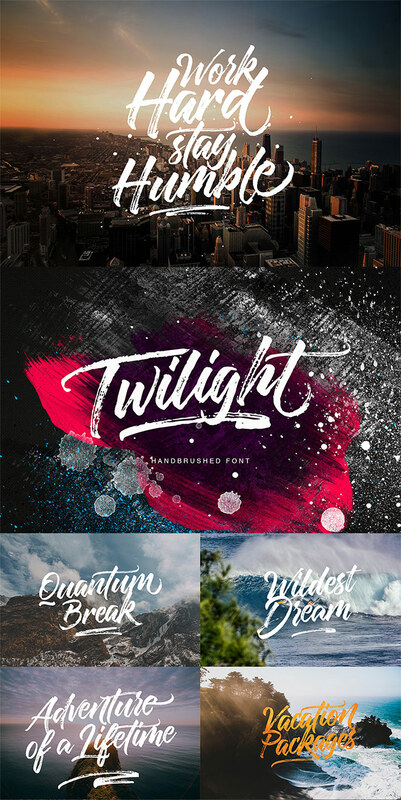 The versatility of these fonts alone is enough to cover all kinds of branding, web design and print projects. 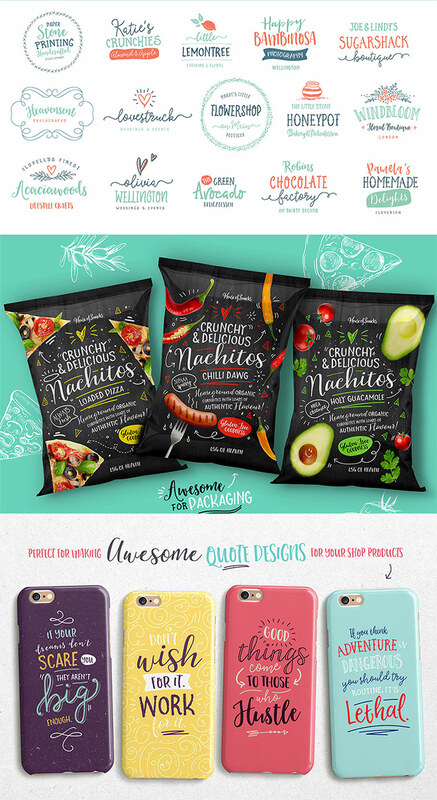 Hi Andy, I don’t know anyone in particular but some of the font creators on Creative Market might be able to help out with a custom job. Thank you sooo much! Can’t wait to get working with these. Thanks. Not to nit pick but the Mr Fiery packaging appears to have a fairly mild looking capsicum on it. :) I like the blackhawk font. It reminds me of an 80s movie poster. Hi bro. From the start of my working life i am very found of different founts and always insearch of new ones with your post now i a, able to get numerous of founts thank so much really appreciate your work.